City slickers are getting right behind their drought-stricken cousins with a large contingent to descend on Mudgee next Sunday. 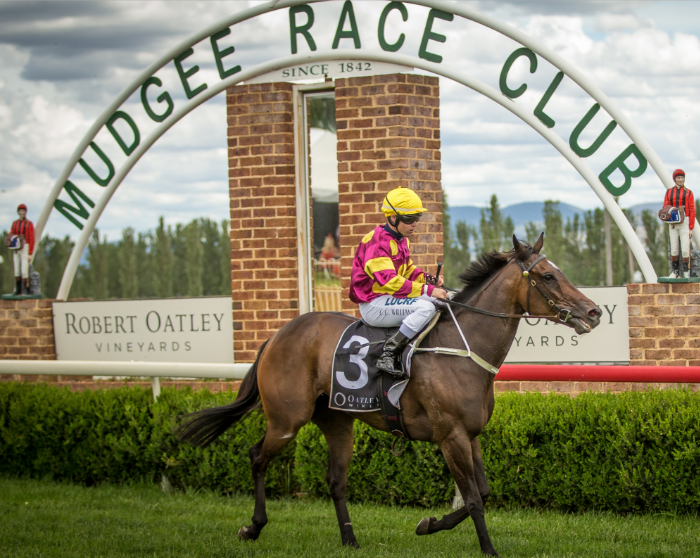 Mudgee Race Club is going all out with its ‘drought-breaker’ race meeting next weekend. “We are all aware the plight of our farmers and their families and the far-reaching flow-on effect will be felt for some time,” said MRC’s Secretary/Manager, Colleen Walker. “But the support that’s being shown is unreal – we have many folks that have booked in for the raceday coming from Sydney and afar. The Club and its long list of supporters and sponsors are joining together to shout the farmers and their families a day out at the races. “Call it a mental health day, but it is our way of showing them we care,” Mrs Walker said. “On the day, we will be treating our farmers to a lovely seafood lunch, cold meats, salads and much more. “We will also have several activities for families including carnival rides, a cup & saucer ride, turbo flyers and the Jurassic Adventure, a jumping castle, face painting, games and many giveaways. “On the entertainment front, we have the multi award-winning Paul Costa and our own Jess Holland. “There will also be a pamper corner for the ladies and we’re working with the council, bushfire brigades, CWA (Country Women’s Association) and many other organisations to create a special day for our farmers and the community. Feature race is the $32,000 Black Nugget Cup (1400m) won last year by the Allan Denham-trained Skylimit. Meanwhile, two winning owners donated part of their winning prizemoney from last Tuesday’s Muswellbrook races to the drought relief fund for Upper Hunter farmers. Aquis Farm and NSW TAB combined with Muswellbrook Race Club to sponsor the drought relief day and raised nearly $30,000. Owner/breeder Damion Flower donated $5000 after his colt Rubble won race 2, then after the following event, John O’Connor, owner of Flash Stinger, followed suit with a $2500 donation after his horse had scored narrowly. “The drought is affecting everyone in the Upper Hunter Valley and we hope this money will help,” said MRC’s General Manager, Duane Dowell. “It was a nice gesture from Aquis Farm, TAB and the two owners to donate the money.